Every bride and bridesmaid needs to get their hair and makeup done in clothes that they do not have to pull over their head. While getting ready on your wedding day, our oversized monogrammed button up shirts are perfect for the bride and bridesmaids. 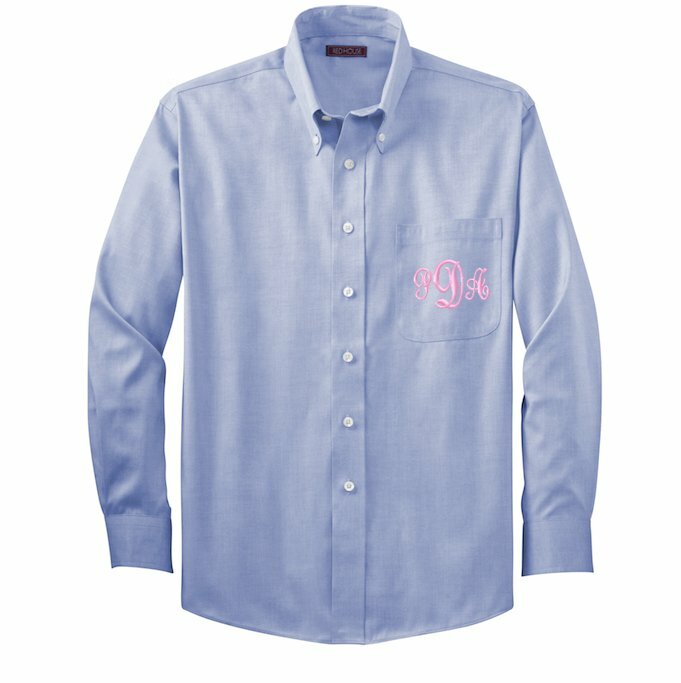 These monogrammed button ups come in either white, blue or soft lavender. Thinking of your hubby-to-be while wearing the latest trend will be fun and cute! We recommend the pendant font on our 4.6-ounce, 60/40 cotton/poly non iron cotton oxford with a monogram around 3 inches in diameter on the pocket. Roll up your sleeves, get your hair and makeup finished while wearing this oxford on your special day. 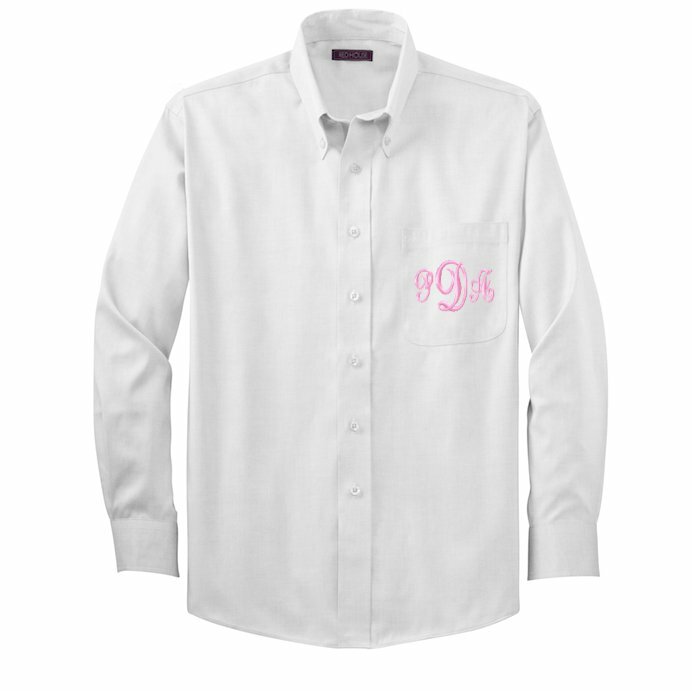 A great gift for bridesmaids since they can also wear these monogrammed shirts as coverups. Please note we no longer have the soft pink. The color replacement is soft lavender. Price: $39.00 In stock! - Browse this brand: The Pink MonogramOur products are custom made to your specifications. This product ships up to 2 weeks after your order is placed.